It's important for a kitchen to be beautiful but of course functionality is equally important. A kitchen planner can give you the best advice when it comes to this field. Luckily you've come to the right place. Homify has access to some of the top professionals from around the world, which is how we have been able to put together seven essential things for a functional kitchen today. Each tip is as fun as the last, while practicality reigns. 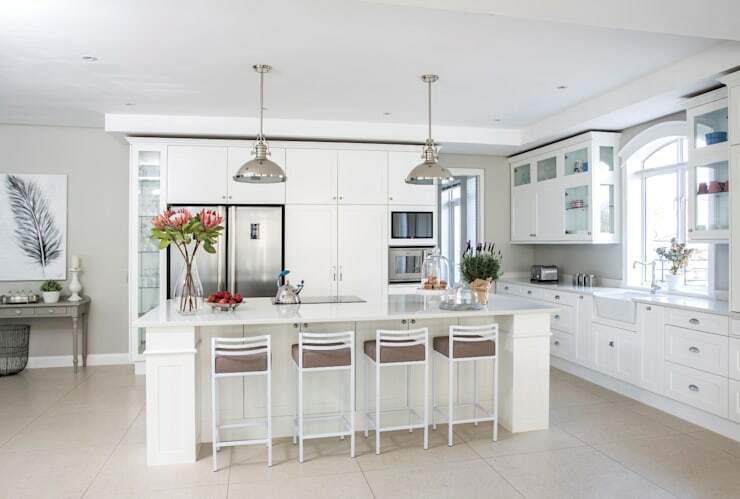 As you get your bearings on a brand new kitchen design, we hope that you learn how to make the absolute most of this stunning design. The kitchen tips will delight and dazzle. Shall we take a look? 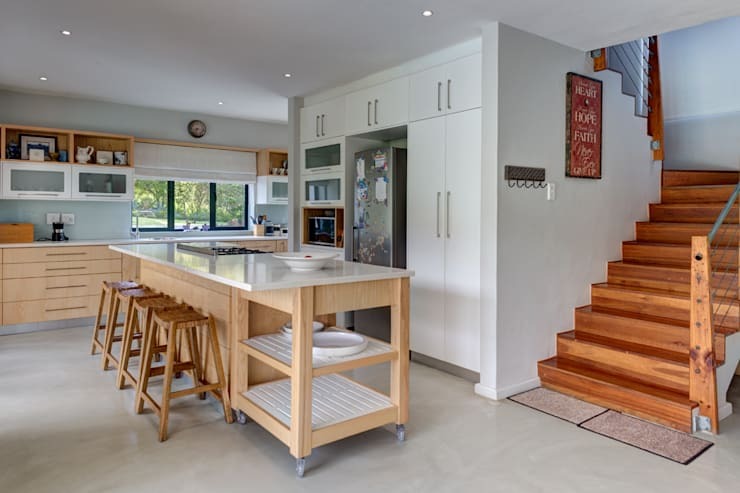 We know that the kitchen island is not for everyone, especially if you don't have enough space available, yet a cooking island is indispensable in today's kitchen. It makes for a stylish design and is very practical. Use it for extra storage as well as an extra surface for cooking or preparing food. 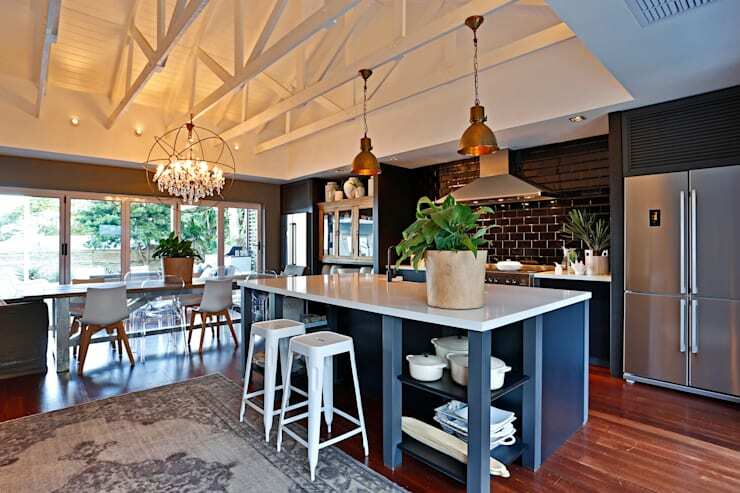 Perhaps the most important tip that we can give you is to opt for good lighting in the kitchen. Yet this doesn't have to be a purely functional design. It can bring beauty and trend into the environment. Make sure that you use your funky lights to create an appealing, warm and romantic ambiance. Use lamps or dimming lights if possible. Struggling to install kitchen cabinets? Why not opt for shelves in the kitchen? As you can see in this design, shelves make for a very cozy design. It combines practicality and aesthetic appeal. All you need is a pair of hands, a few planks of wood and a drill! 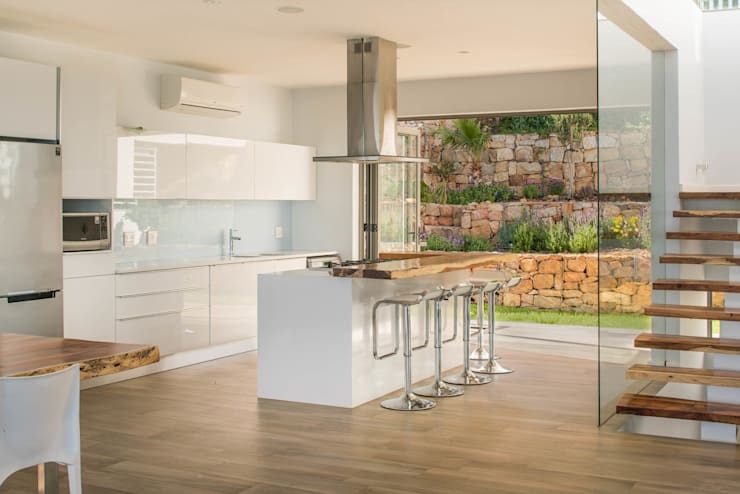 Fresh air is a necessity for any room in the house, but in the kitchen it is vital. You should never feel like you are going to faint due to lack of oxygen while you are busy cooking! Windows and doors are thus very useful. The added benefit is that they allow sunlight to flow into the design! For cooking, a touch of greenery can go a very long way. Choose perennial plants or flowers that work well indoors. If you're worried about maintaining plants or flowers, opt for the artificial variety. Do you enjoy a glass of wine once in a while? If you don't want to have a complete wine cellar built, this is a great option! It gives your kitchen something special and can allow you to put your wine on display. Install a wine rack in the built-in kitchen or under the counter tops. 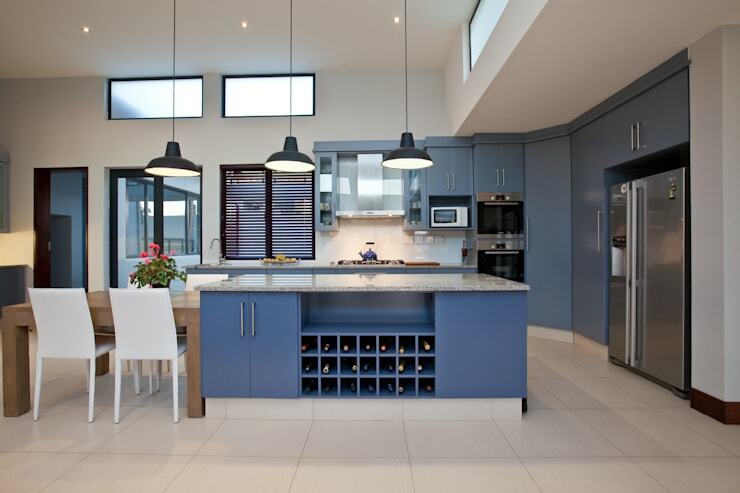 You can also opt for a modern wine refrigerator to keep your wine nice and cool. We often find a kitchen combined with a dining room, but a fun and cozy sitting area is not too common. Here we can see how comfortable and functional it is. 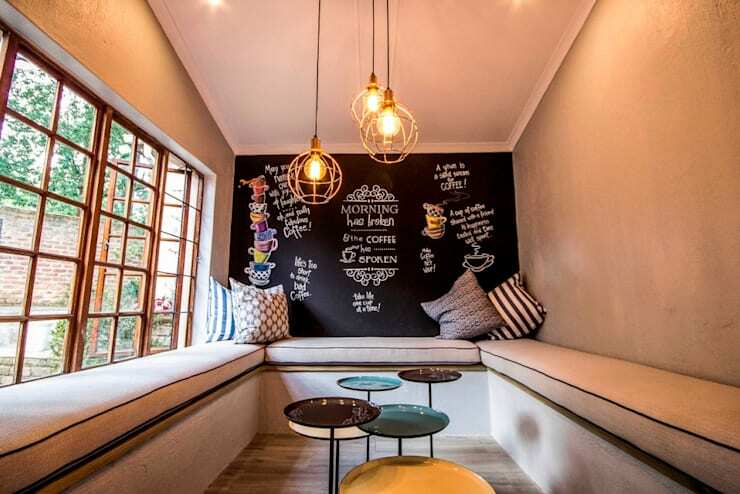 Couldn't you imagine relaxing with a cup of tea in this cushy spot? Also have a look at this article: Decor ideas for small kitchens. Which kitchen tips would you choose for your home?